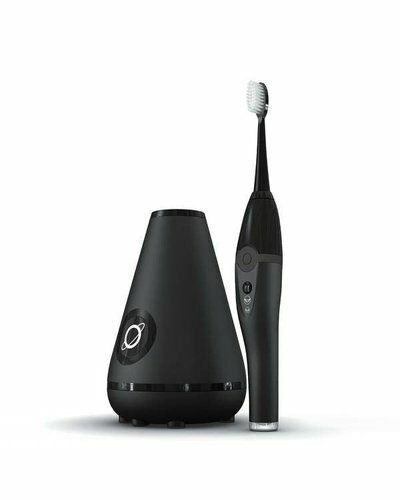 The Aura Clean Sonic Toothbrush uses 40,000 tiny brush strokes per minute to sweep away plaque and gently polish away surface stains. The base station dries, protects, and recharges, using powerful UV-C rays to kill 99.9% of germs. Advanced sonic toothbrush with hygienic cleaning, drying and charging routine. 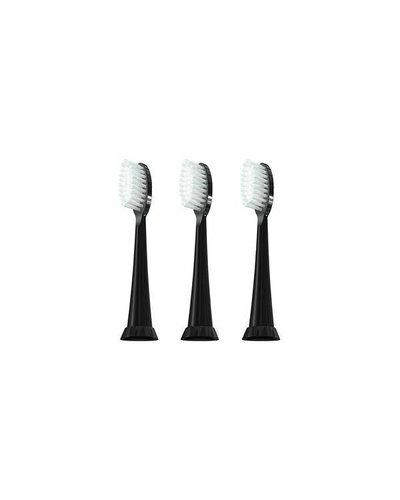 Three black brush heads as refill for the Tao Clean Aura Clean Sonic Toothbrush. 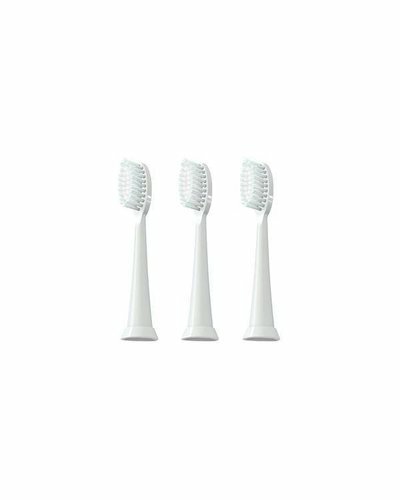 Three white brush heads as refill for the Tao Clean Aura Clean Sonic Toothbrush. Enter the Aura Clean System. The Aura Clean Toothbrush provides exceptional cleaning to whiten teeth using state of the art sonic technology in two easily controlled cleaning modes, professional and sensitive. 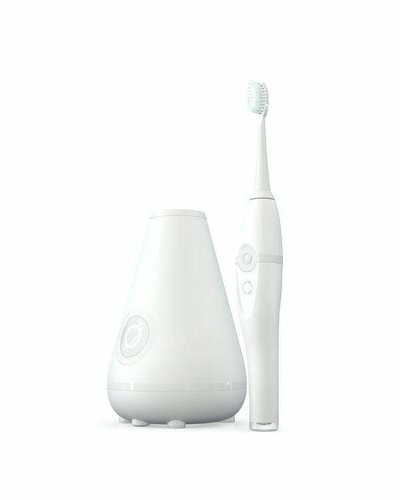 Keeping the Aura Clean Toothbrush in first class condition takes place within the Aura Clean Base Station core using The Aura Clean UV-C Halo. The Halo is a ring of germ killing light that attacks pathogens from all angles. The Aura Clean Base Station keeps the brush head protected, clean and away from environmental contaminants and also dries the brush head whilst charging – allowing the brush ready for use when you are. The Aura Clean Base Station delivers a cleaning, drying and charging routine keeping the Aura Clean Toothbrush in tiptop shape for everyday use. When TAO Clean's design council first gathered within the marbled halls of TAO Clean, situated high atop Mt. Cleanliness, it was decreed that every object that they create must deliver a wonderful user experience from start to finish. It was also decreed that all the life tools must be built on outstanding aesthetic design and be both easy to adopt and seamlessly entwined with your daily routine. These words have been their mantra to deliver you the Aura Clean System Experience.